Adobe let the cat out of the bag yesterday telling the world that they are going to officially announce Creative Suite 4 on Sept. 23. You can actually sign up for the launch web broadcast and get the inside scoop along with the media. I won't be able to talk about the details of CS4 until the 23rd, but I will say that this is a heck of a release for photographers. 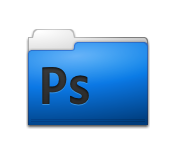 I've been working on a book that will show you how to use Photoshop CS4 and its bundled utilities to go from download to output in a very smooth workflow. The book will be published in late October. More to report after the web broadcast on Sept. 23. As a side note, I'm off to Photoshop World today in Las Vegas. Since Kelby and company won't be able to talk about CS4, I'm guessing we'll see lots about Lightroom 2. I should have some gems to report. Stay tuned.